My goal for next month is to eat healthier and exercise more. This can be hard to do when you have an overnight job like I do. There are not a ton of healthy overnight options for food. If you forget to pack your lunch..you may find yourself in trouble. That is why I like to keep my work desk full of healthy snacks. I am *slightly* addicted to subscription boxes. I am also a huge fan of snacks. I have found the perfect combination of these two loves: Fit Snack. This box was packed! First up were Compete energy bites. These are my new addiction. They come in little pods to keep them fresh. They taste like little chocolatey brownie bites and they have caffeine! 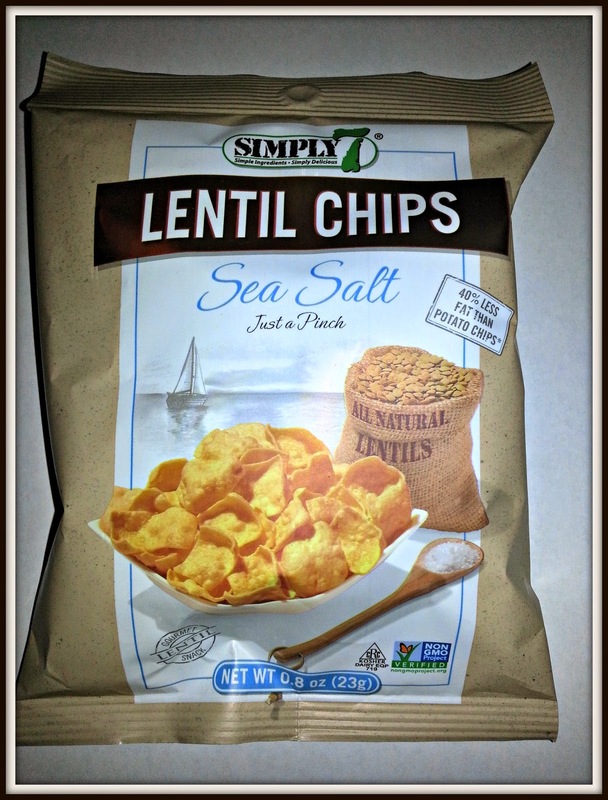 Next up were two items from Simply 7 Snacks: Quinoa Chips and Lentil Chips. I didn't think that I would like these, but I really did. I actually ended up dipping the Quinoa Chips in the Sunbutter that I will be sharing with you in a moment. It was a really delicious and healthy combination. I also received a Level Life caramel chocolate peanut bar. This was okay. It wasn't the best tasting protein bar I have had, but it wasn't the worst either. It only has 4gm of sugar which is really awesome. I will probably need something a little more sugary to kill my serious sweet tooth. 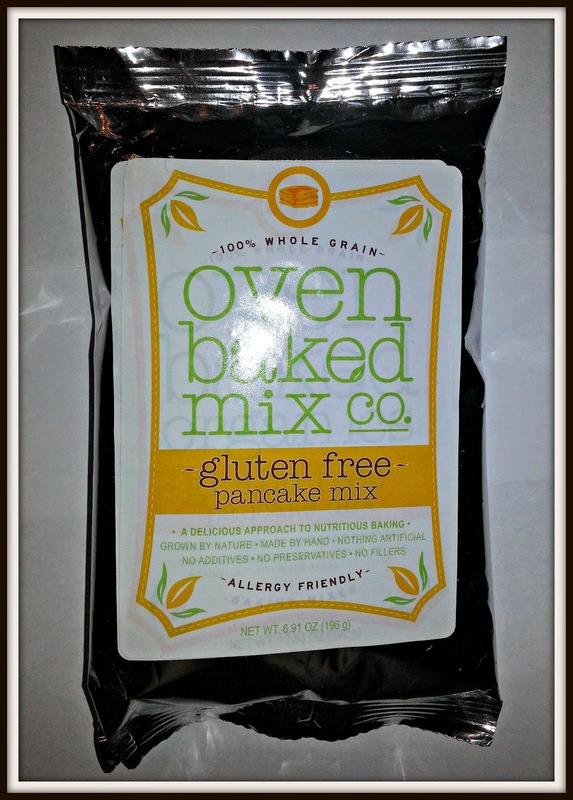 The next item is one that I have not got around to trying yet: Oven Baked Organics gluten free pancake mix. I am saving this for a family breakfast that I have coming up. I am thinking about adding blueberries and raspberries to the batter. Yum. 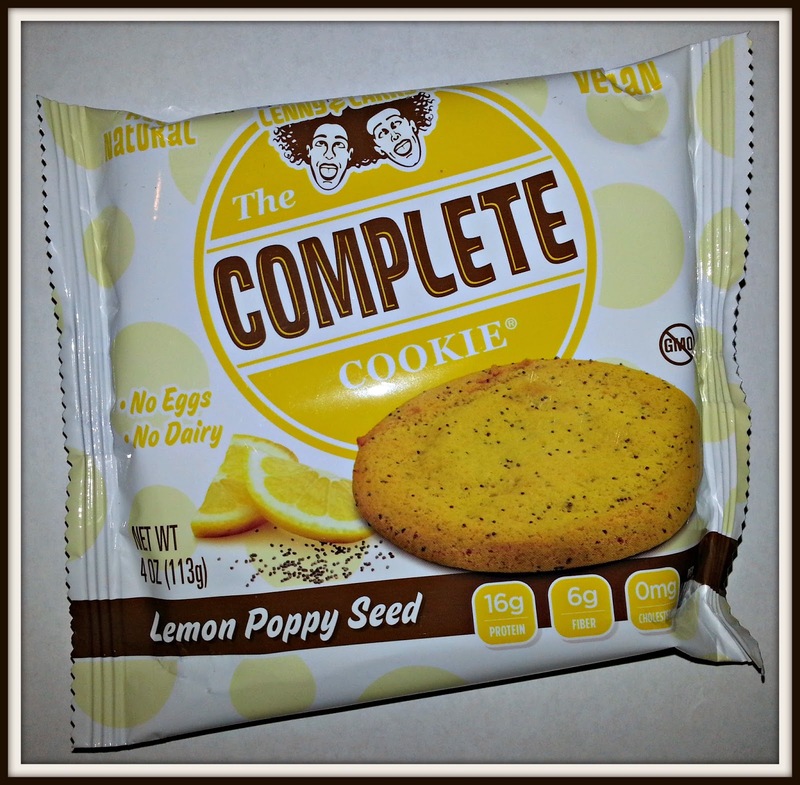 I also received Lenny and Larry's "The Complete Cookie" in Lemon Poppy Seed. The only bad thing about this HUGE cookie is that it was supposed to be two servings. That did not happen. It was so delicious that I ate it all in one sitting. I will say that I felt extremely full afterwards though. It is definitely delicious and filling. These come in a lot of different flavors and I can't wait to try them all. I received a sample of Sunbutter also. This is what I used on my Simply 7 Quinoa Chips. I wasn't sure if I would like this since I am such a huge peanut butter fan. However, it was pretty good. I found myself rolling and squeezing the package at the end to make sure I got it all. I could switch to this over peanut butter. NOGII Protein Powder was also in the box. I received both Vanilla Bean and Cocoa Chocolate. The samples were 1/2 a serving each. So, they are more to try the flavors. I do wish they were full samples. I tried the vanilla bean and it was pretty tasty. I like that you can add things to these basic flavors. I added berries to mine! The last two items in the box were created by Fit Snack. I love that Fit Snack makes some of their own snacks too. I received an Almond and Pumpkin Mix. I gave this to my Husband and he loves it. Last but not least was one of my favorite items: the Fit Snack Veggie Chips. 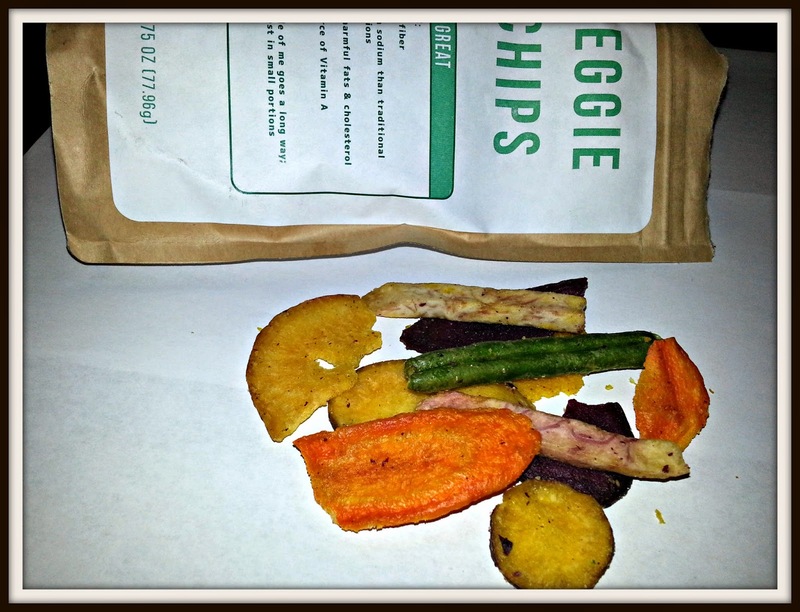 These veggie chips are incredible and some of the best that I have ever tried. They include a nice variety of vegetables too. See how gorgeous the Veggie Chips are? They have the perfect amount of salt. So good. I actually prefer the taste of these to potato chips. The Fit Snack packaging comes with healthy tips. The Fit Snack box also came with a product card that had a full body energizer workout on the back. I love the fun little extras. I have learned some great tips from Fit Snack. 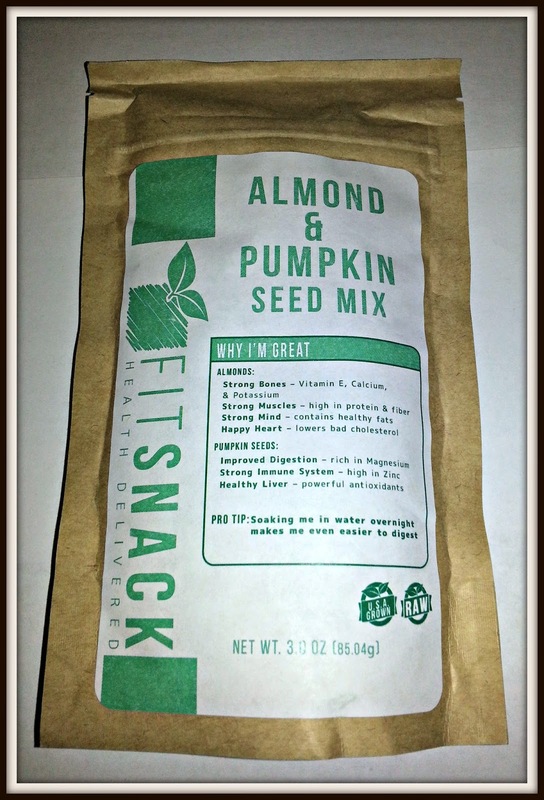 I am very impressed with Fit Snack. It had a large number of products and it was definitely worth the money. There isn't really anything in the box that was bad and most of it I really loved. I would definitely recommend Fit Snack. 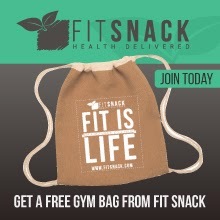 If you subscribe using my link for Fit Snack you will also receive a free bonus gym bag! 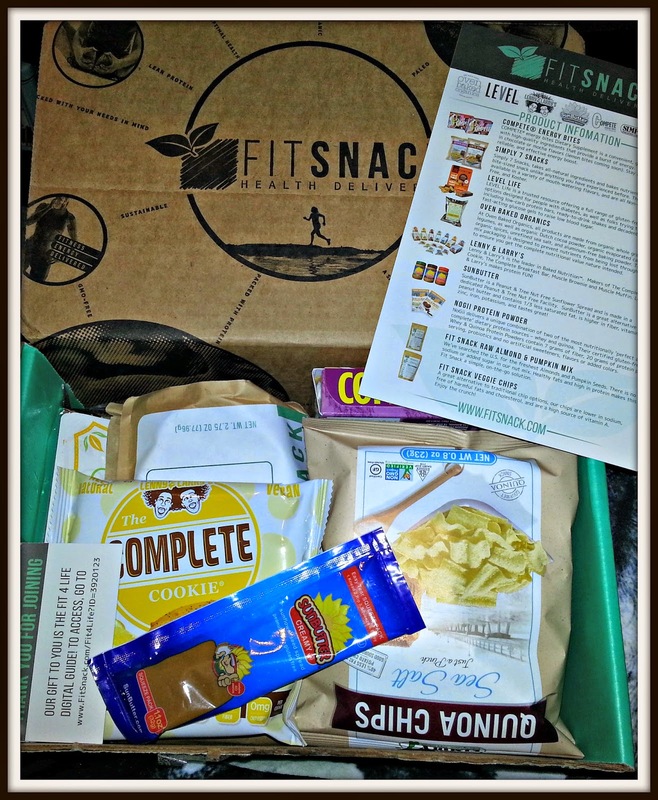 You have two chances to win a Fit Snack box! You can enter the Fit Snack Giveaway on their page and you can enter to win one free box here at Thrifty and Frugal Living using the Rafflecopter below. Thrifty and Frugal Living giveaway ends 4/13/15 at midnight. *Disclaimer: I received a free box in exchange for my own honest opinion. This post also contains affiliate links. I think it would have to be the Lenny and Larry's "The Complete Cookie" in Lemon Poppy Seed. What fun! You had different things than me! (Isn't that always neat to see.) You know if you don't want that pancake mix, I'll happily take it off your hands! ;) ENJOY! I would like to try the Simply 7 Snacks Quinoa Chips most. 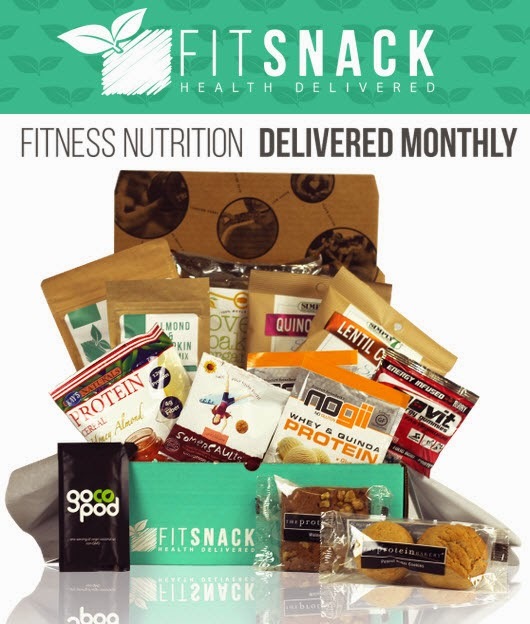 Which product you would be most interested in trying from my March Fit Snack box? I'd be really interested in trying the NOGII Protein Powder, both flavors sound really good and I've been looking to get something like that. I want to try it all but especially the Sunbutter....it looks delicious. I'm interested in trying the veggie chips! I love lemon flavored things so I would enjoy the Lenny and Larry's "The Complete Cookie" in Lemon Poppy Seed. I would LOVE that lemon poppy seed cookie! It's a HEALTHY cookie, right?? LOL it figures, right, I go for the cookie. Well who wouldn't? It all looks good to me, however. These would make great presents for anyone. 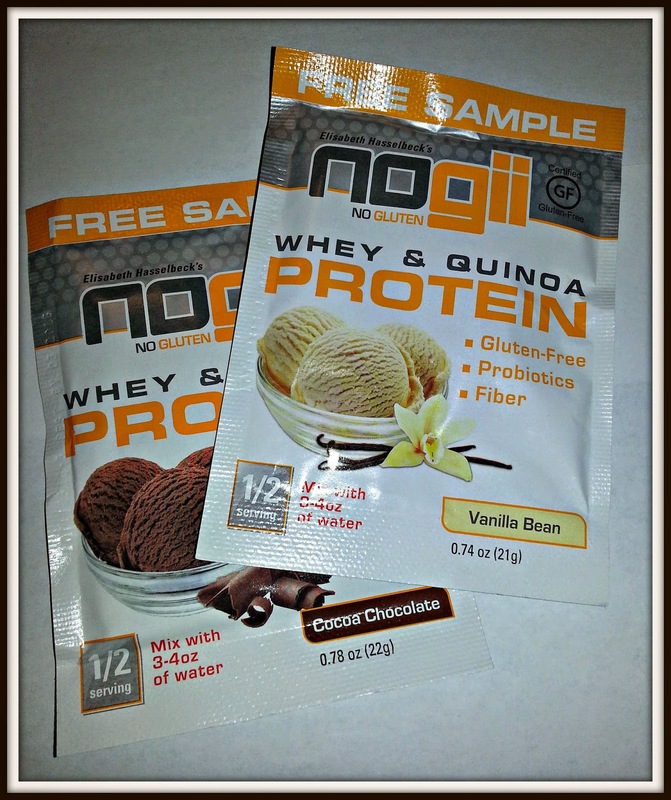 I would love to try the NOGII Protein Powder. i would like to try the almond and pumpkin seed mix. I think that the Lentil chip would be interesting to try. But it all looks yummy. I would love to try the Quinoa Chips and Lentil Chips! I'm looking for my salty fix without the calories! Thanks! I am interested in trying the lemon poppy seed cookie. The sunbutter! I have heard so many good things about it. I would like to try the Complete Cookie. The Fit Snack Veggie Chips look good to me! I'm most interested in trying Lenny and Larry's "The Complete Cookie" in Lemon Poppy Seed. I would love to try the Almond and Pumpkin Mix. 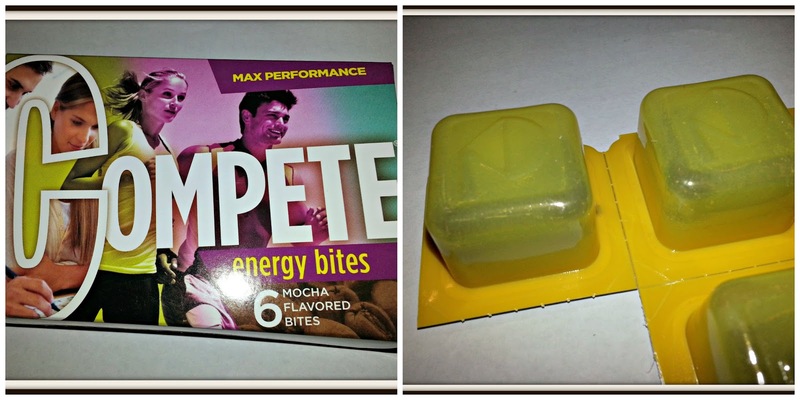 I'd most like to try the Compete Energy Bites. They sound delicious. 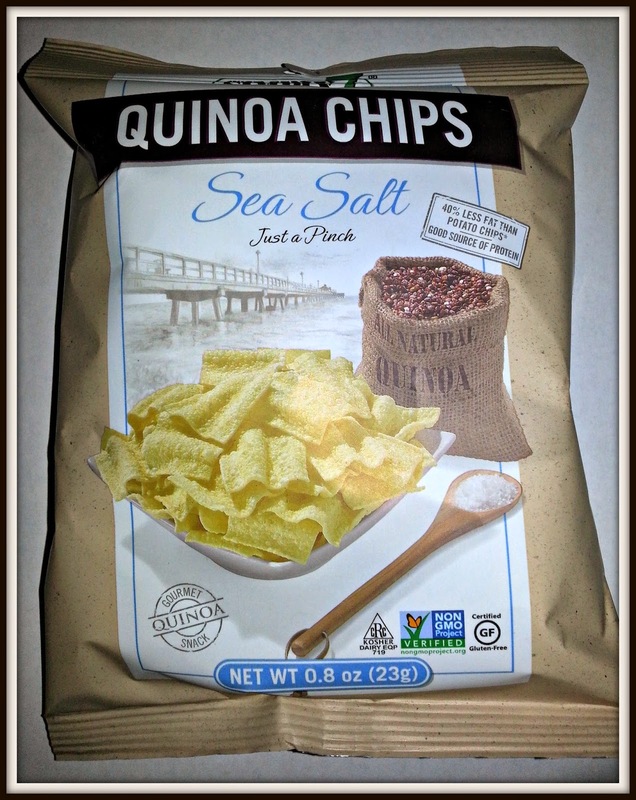 I want to try the Quinoa Chips most! They look delicious! I would like to try the Almond and pumpkin seed mix, I eat them separately all the time but had not thought of mixing them together.